We will be driving down to Amherst, Massachusetts on Sunday to play in the Amherst Regional Middle School Invitational Tournament. Players need to arrive at the Amherst High School, where the tournament will be held, by no later than 9:30am. 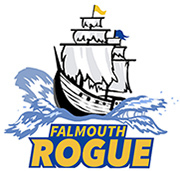 It takes about three hours to drive from the Falmouth High School, where we will gather for carpooling pick up and drop off, so we will hit the road on Sunday at 6:30am. Carpoolers should arrive at the school no later than 6:15am. If you are a parent of a player and have not contacted Coach Shea about your plans for Sunday, please do so. Specifically, indicate whether you are driving down, how many available seats you have if so, or if your player will need a ride. Our last game ends at 3:40pm but we will stop for ice cream in Amherst before driving back, so we’ll arrive back in Falmouth no later than 8pm on Sunday. Here are directions to the Amherst High School. Players should pack all the things they would bring to a regular tournament as well as any money they might want to spend on snacks on the way down and/or back. The weather is calling for scattered showers on Sunday with temperatures in the low 70s, so make sure to pack for the full range of possible weather conditions. Protip— pack three pairs of socks so your players can change between games. We are playing under the lights in Portland on Friday night from 7-9pm. Our game is being held on the turf field behind Deering High School. Please plan on arriving at the field no later than 6:45pm.